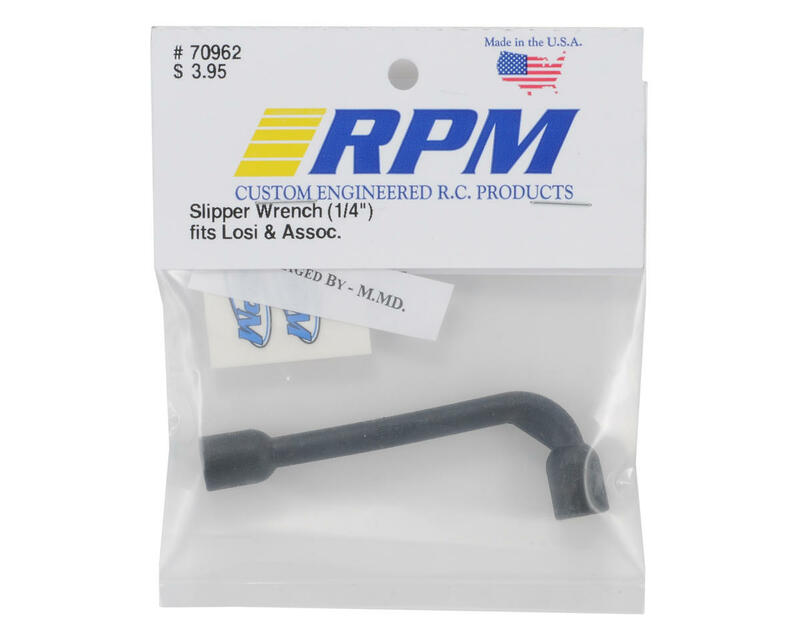 This is a RPM 1/4" Slipper Clutch Wrench, and is intended for use with Losi and Associated vehicles and potentially, any other application that requires a 1/4" wrench. RPM has maintained a constant vigil over the racer, and when they saw that many of you had a problem adjusting your clutch while the wheels were on, they decided to make a special tool just for this purpose. 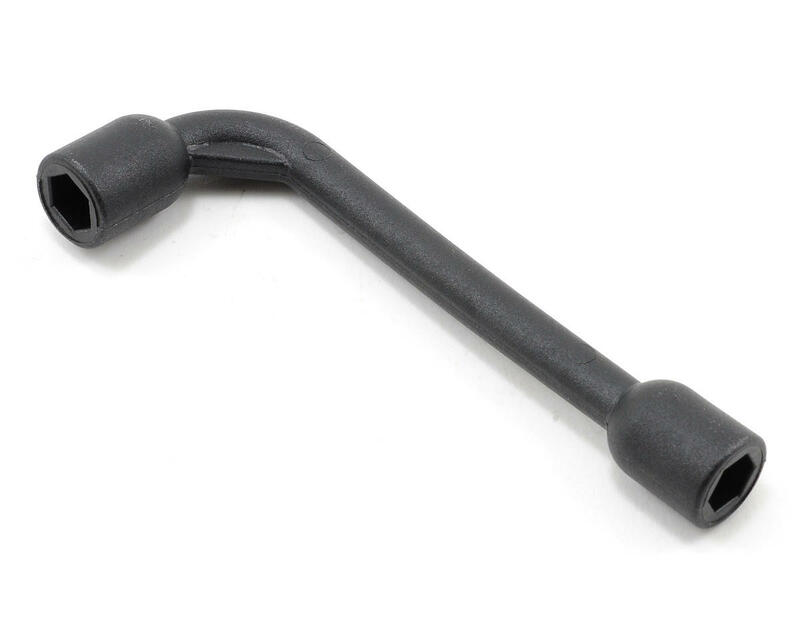 Shaped like an "L", it has a 1/4" socket on both ends which allows fast, major adjustments with the long end or slow, critical adjustments with the short.